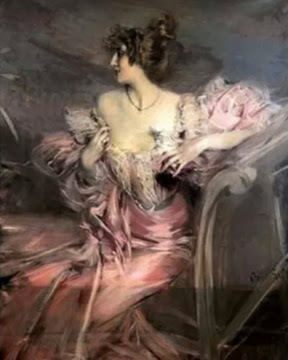 In a dusty attic once belonging to a beautiful actress, a beaming portrait by Giovanni Boldini sits hidden for almost 100 years until recently found and revealed by a Parisian auctioneer. but this is so different. I cannot imagine!! before the rumblings of World War II broke out in Europe. France, never to return to the city again. that this time capsule was finally unlocked. in neatly ribbon and were still on the premises. Paris -- When an auctioneer entered a dust-covered old Parisian flat to take inventory of the deceased owner's possessions, he had the impression of creeping into Sleeping Beauty's castle. In the gloom of the flat that had been shut for decades, he came across a portrait unknown to art experts of a beautiful woman by one of 19-century Paris' most prized portrait artists, Italian Giovanni Boldini. "There was a smell of old dust," said auctioneer Olivier Choppin-Janvry. The painting recently fetched EUR 2.1 million (USD 2.9 million) in frenzied bidding, making a record for one of the artist's works. 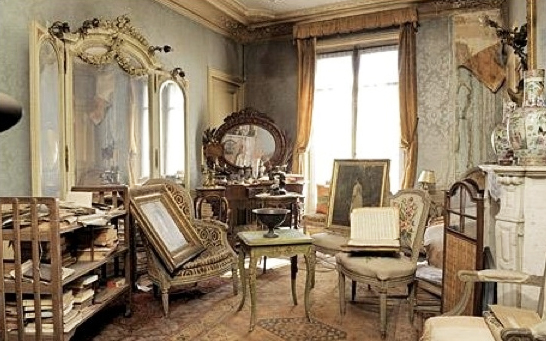 The flat's last occupant, who was the granddaughter of Boldini's muse, had locked the flat before World War II to go live in the south of France and never returned. 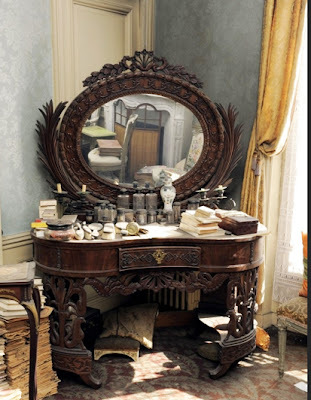 The woman recently died at the age of 91, having paid upkeep fees for the large flat in central Paris for 70 years without using it. The painting, which had hung in the flat's living room, was the portrait of an actress of exceptional beauty who went by the name of Marthe de Florian enshrouded in a pale pink mousseline evening dress. 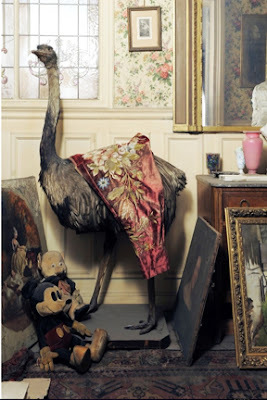 Check out this painting (‘The Parisian Time Capsule’) by artist extraordinaire K Madison Moore, then read the story behind it. Then, compare the photo’s to the painting Madison has created, I think it is a VERY cool story, and a great painting, especially when you compare it to the photos! 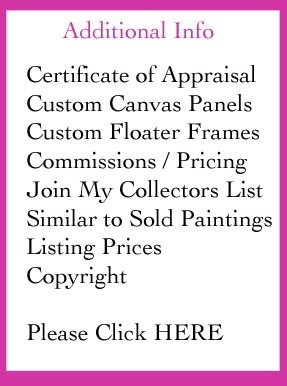 I now have four of the artist’s (K Madison Moore) original paintings, though two were VERY generous gifts, one from the artist herself! I think she is wonderfully talented, and the painting in the link really shows off her creativity so well. Just thought the story, and Madison’s painting, were too cool not to share with my friends! BTW, the painting that was a gift from Madison is shown on the same web page as a thumbnail, it is the one titled ‘Lazy Days with Matisse’. It compliments my first purchase, also an homage to Matisse. 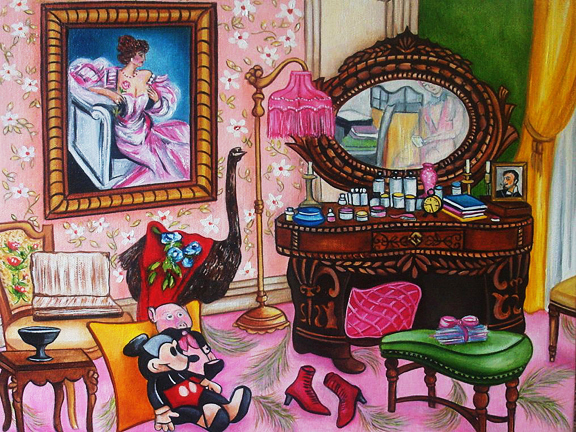 I really love her work, and her paintings that are in my care give me such pleasure every day!